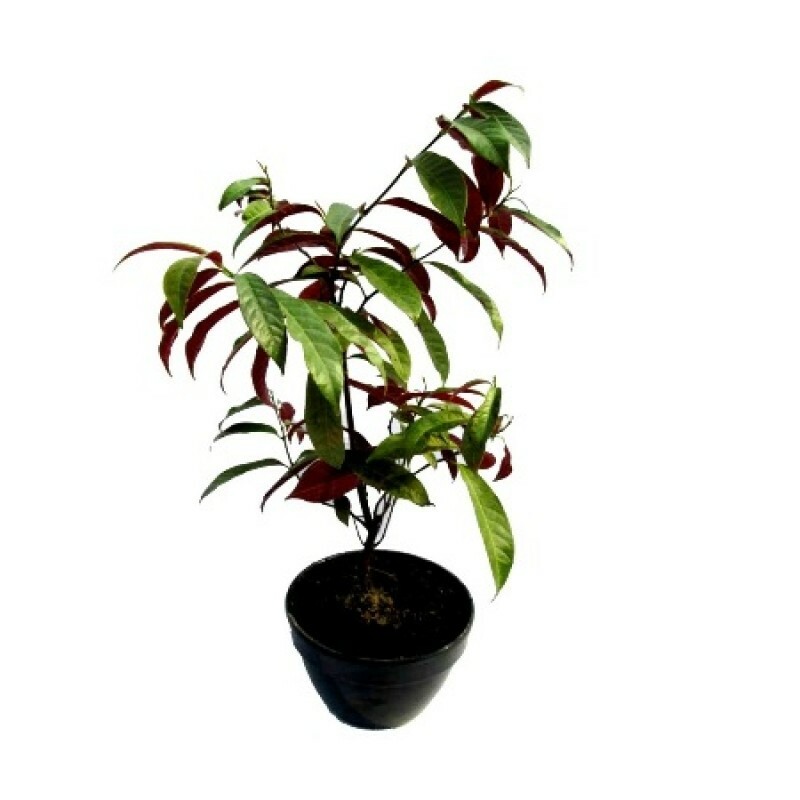 This is an evergreen shrub with arching branches. I have seen plants three or four feet tall but it is reported to be able to grow to six feet tall. Typical plants have opposite, shiny green leaves with burgundy undersides. A variegated form is more common in the nursery trade. Inconspicuous white flowers are borne in the leaf axils. It grows best in part shade with moderate water. Most references say it is cold hardy to zone 10 but I have seen several reports of plants surviving temperatures as low as 30 degrees and recently saw a plant growing outdoors in Mercer Arboretum north of Houston, Texas. Reportedly, the sap is irritating to some people. Plants may be grown from seeds or cuttings. Cultivars should be propagated by cuttings. My variegated plant grows slowly but steadily in a large container with afternoon shade. It is a selection known as 'Firestorm.' It is slower-growing than the typical, green-leafed form and sometimes a shoot will revert to green leaves. My plant tolerated a winter low of 27 degrees F with a hard frost with some damage to the variegated leaves but none to the green foliage. It died to the ground after 21 degrees but survived, resprouting in February.